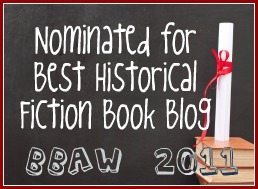 Last year I read and reviewed Deborah Burrows' debut novel A Stranger in My Street. There were numerous things that I enjoyed about the book, not the least of which was the fact that it was set in my home town of Perth during WWII. Once again Burrows has turned to this time frame and setting to give us a story that is a strong combination of history, mystery and romance. Nell Fitzgerald is a journalist who works for one of the more sensationalist of the newspapers in Perth. Whilst she worked hard to become a journalist, she is quite content in her current role where she writes the fashion column, the highlight of which is a weekly column advising how to rework hats in this time of austerity. It's not that Nell isn't ambitious - deep down inside she is - but more that she feels that she is helping to raise spirits and she knows what her own future holds namely marriage to a good man, her lawyer fiance, who is currently on duty in Melbourne. Johnny soons draws Nell into his quest, firstly because he is attracted to her, but also because he believes that Nell can do more, be more. He believes in her talent and he wants to push her so that she writes her own features, not only about Lena but also about some of the other big issues that are going unreported on in Perth. One of the most interesting aspects of this book for me was the plight of the so called lost girls of Perth. With the influx of American servicemen, many of the young women of the city were swept off their feet into a world of glamour and excitement. After all, the Americans were seen as glamourous, could get access to goods that have long been unavailable to ordinary citizens and they had plenty of money. Many of the girls just wanted to have some fun. Some ended up married to men they barely knew, but there were still more young women who ended up with damaged reputations, unwanted pregnancies, incarcerated in juvenile detention for being wild, or worse. When Nell and Johnny meet 14 year old Evie after saving her from an unsavoury situation with some drunken soldiers they both feel the need to do something. For Nell, this means taking Evie home to her aunt who has a history of taking in young girls. After all, she took in and raised orphan Nell. When their investigation impels Nell and Johnny to search for two other underage girls who have gone missing from the same artists commune that Lena lived in, Nell decides that she needs to write an investigative piece highlighting the issue. Whilst Nell is attracted to Johnny and feels that attraction growing the more time they spend time together, she is also determined not to succumb to his charms. As she hears more stories about his past, she knows that there can be no future in a more personal relationship with him, so why can't she stop thinking about him, wanting to be with him. I loved the development of the relationship between Nell and Johnny. He lets his feelings show but it is Nell who is reluctant to pursue more. Initially he doesn't push her emotionally, but he does constantly push her to be the best journalist she can be, encouraging her to believe in her abilities and to challenge herself in her career. Whilst the actual time frame of the story is relatively short, the way that the relationship develops feels organic even with the knowledge that Johnny's time in Perth is coming to an end, and the author does a great job in showing the relationship developing from colleagues to friends to more. I also enjoy the historical details that Burrows manages to include in her books, from fashion to the gas conversion cars that I don't remember hearing about before, there is plenty of historical detail included in the pages of the book. 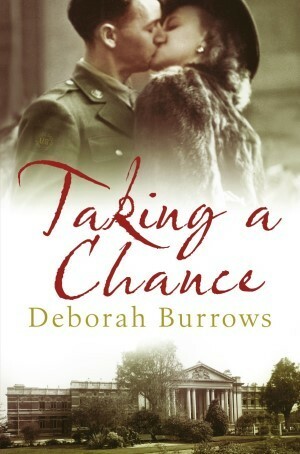 I once again enjoyed visiting WWII Perth through the pages of a Deborah Burrows book. All that is left to say now is bring on the next one! Eleanor 'Nell' Fitzgerald is smart – inside and out. For now, she writes helpful fashion advice for a local rag, but is bursting with ambition and plans to marry her lawyer beau as soon as he returns from wartime service. When she meets the handsome, famous and oh-so-charming Johnny Horvath of the American Press Corps, she finds herself dragged into a murder mystery. Convicted of the murder of her artist lover, Lena Mitrovic is languishing in Fremantle Gaol. Johnny is sure of Lena's innocence and ropes in Nell to help him find the truth. During their investigation, they uncover some seedy secrets of wartime Perth: the other side of the "American Occupation". Girls and young women have been throwing caution to the wind, entering into romances and liaisons with the visiting servicemen.